Posted Dec 06, 2018 by Eds. In the early morning hours of Dec. 4, 1969, Chicago police—acting at the behest of the Cook County State’s Attorney’s Office and the Federal Bureau of Investigation—burst into headquarters of the Chicago Black Panther Party and rained a hail of gunfire. When they were done, chapter founder and chairman Fred Hampton, 21, and member Mark Clark, 22, were dead; four others were seriously injured. The police lied and said that when they knocked on the door and announced themselves, the Panthers immediately began shooting at them. This was later proven to be a lie. A federal grand jury found that the police had fired somewhere between 83 and 90 shots. The Panthers had fired maybe one, and the grand jury said that shot was fired by Mark Clark after he had already been shot in the heart. It was ultimately revealed to be a massive coverup that was part of a larger federal attempt to dismantle the Black Panther Party from the inside with a program called COINTELPRO. COINTELPRO or the Counterintelligence Program was an initiative started by the FBI in 1956. It used covert and often times illegal methods to disrupt the activities of groups it saw as a threat. Initially used to attempt to stop the Communist Party, in the 1960s COINTELPRO targeted domestic groups that included the Black Panther Party and the Socialist Worker Party. COINTELPRO installed undercover agents in the Panther Party and used misinformation campaigns to disrupt them from within. The misinformation campaign was also used to paint a negative and hostile picture of the Panthers to the public. They were portrayed as being violent and aggressive when in actuality they taught self-determination and self-protection to black people. They ran a community school in Oakland, had medical clinics, a food co-op and free breakfast programs for children. They also provided free clothing, legal aid, ambulance, pest control, plumbing and maintenance. COINTELPRO wanted people to believe the Black Panthers were as bad as the Klan. They were not. 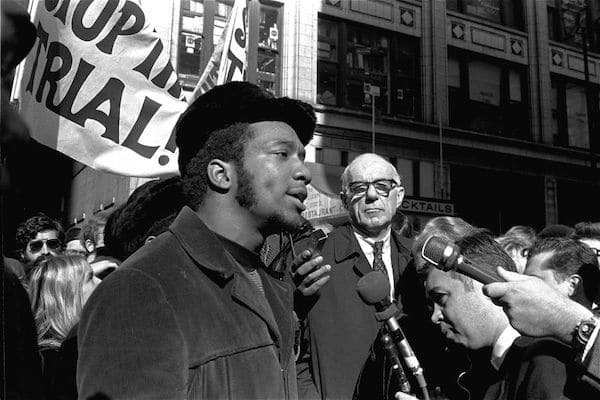 Fred Hampton was assassinated. He was seen as a threat by the federal government, and they eliminated him. He was found to have been drugged the night of his death, and he was so out of it when the police came, he never even moved from his bed once the gunfire started. He never had a chance, and they meant for it to be that way. Hampton was considered an uniter by those who knew him. He had managed to broker peace between warring gangs in Chicago and was known for uniting poor black, white and Puerto Rican people. Before joining the Panthers, Hampton was the youth director of the Maywood, Ill., NAACP. In a community of 27,000 people, he built a strong and united youth group of 500. He was a great speaker, as evidenced in this video where he explains how the ruling class uses racism to exploit working people. Hampton’s death wasn’t the first time Black Panther Party members had been killed, injured or jailed by law enforcement, and it wouldn’t be the last. Between 1968 and 1971, more than 20 Panthers were killed by police and more than 1,000 were jailed. Although COINTELPRO is said to have ended in 1971, it’s hard to believe because a lot of the same tactics used then are happening right now with Black Lives Matter activists. Misinformation swirls about the intentions, actions and impact of people who simply want you to recognize that black people matter too. You can kill a revolutionary, but you can-not kill a revolution. You can jail a liberation fighter, but you cannot jail liberation. May he rest in eternal power—to the people.